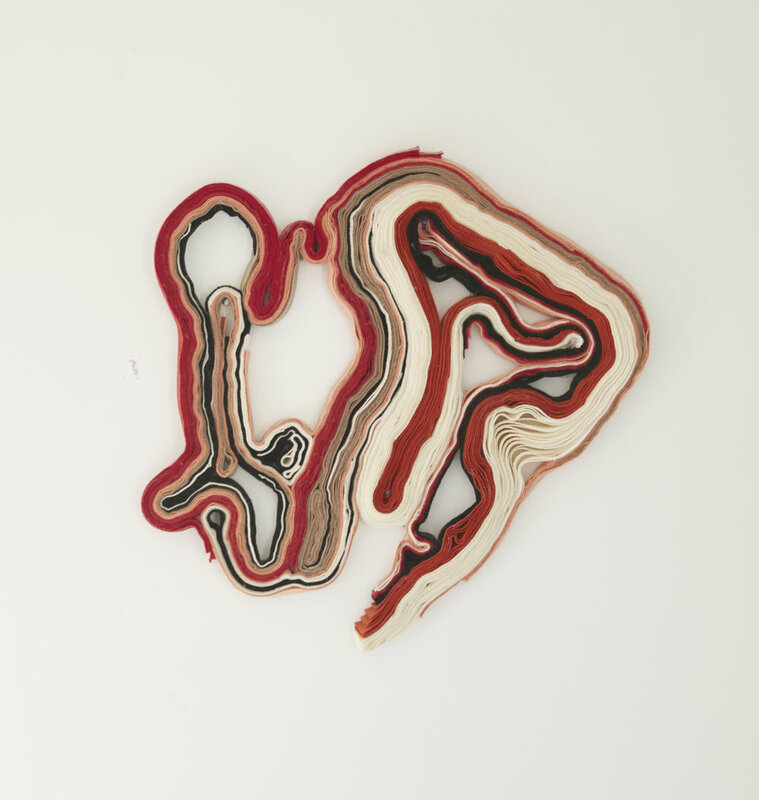 abstract wall-hanging inspired by geological fault. miles and miles of hand-cut fabric strips pieced together. 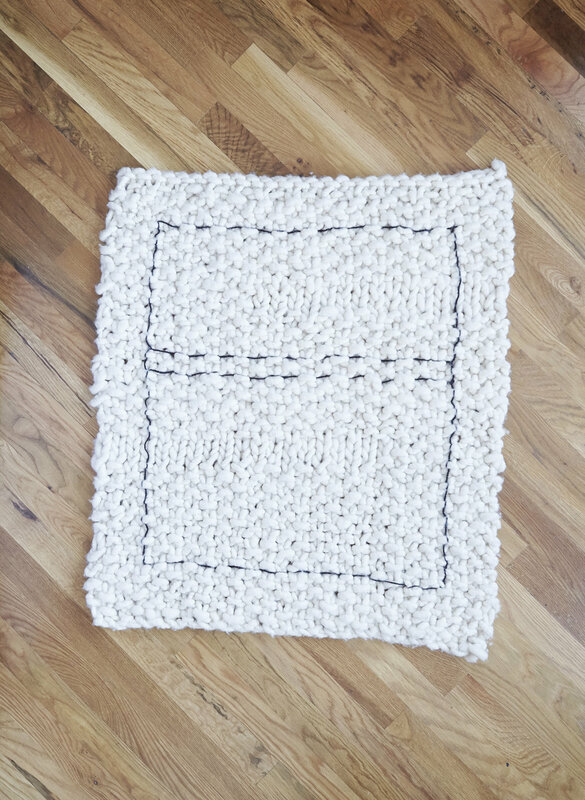 mini rug, mini throw, big wall-hanging; any of the above. hand-knit, 100% wool. mini wall hanging on steel pole, commissioned for a friend. hand-knit, 100% wool.